What if Amazon Echo could tell if your home is healthy? Amazon Echo is probably the hottest connected device around, and for the past few months, a quickly growing ecosystem is building around it. 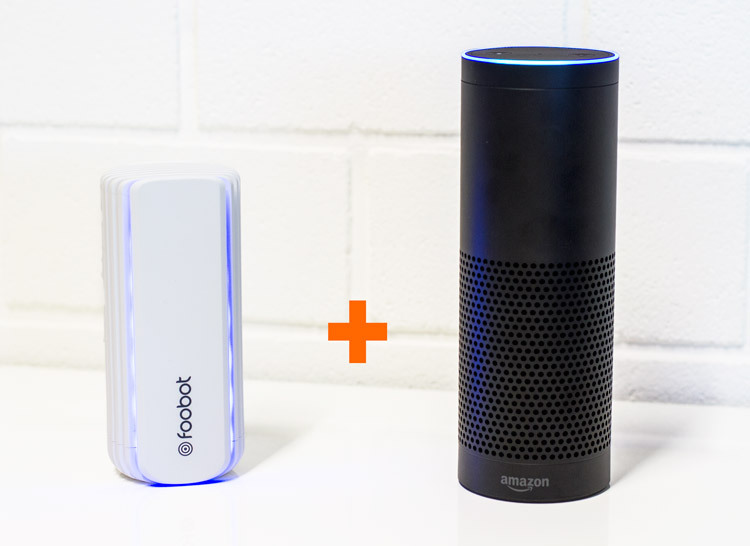 Now Foobot provides Alexa with air quality monitoring ability. Today, that’s one more exciting skill Alexa can do for Amazon Echo’s users. So far, there are more than 1100 possible voice-controlled “skills” that can be performed by Alexa. “Alexa, ask Foobot how I can improve my VOC level? And then you’ll get tips to eliminate the specific pollutant source. In the Alexa Ecosystem, you can already find connected thermostats like Nest or Ecobee… And since we also released a new feature allowing Foobot to control your Nest, you can expect even better things to come! Hands-free control provides additional comfort at home…without having to lift a finger! After the IFTTT feature in April, the Outdoor pollution in May, Nest and now Alexa in June, Foobot is the best and most developed air quality monitor in the world. Let us know what you think about this feature, and the ones you’d like us to add… Shoot us an email or leave a comment below!